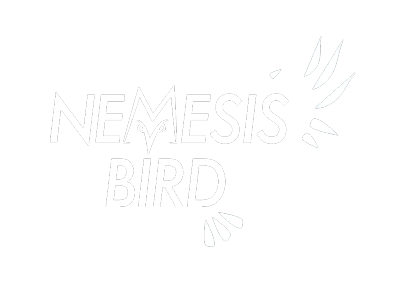 We are excited to post this review by Brooke McDonald, an avid reader of Nemesis Bird (or maybe not, but we like the sound of it). Brooke is a freelance writer and editor in Northern California. In her free time she birds, gardens, plays with her dogs, and researches an obscure Calvinist sect. Page Street Publishing; 176 pages. “Birding for the Curious,” by Nate Swick, is a good introduction to birding for beginners. The book has 10 chapters on topics such as using a field guide, selecting binoculars, and attracting birds to one’s yard. Each chapter has suggested activities such as drawing a field sketch and making suet. As important as the hands-on information is, there’s also a lot of information about birding culture and etiquette, including when to talk on a field outing and how to ask for identification help online. There are quite a few books out there about how to bird, but “Birding for the Curious” feels unique. My favorite books in the genre are Sibley’s Birding Basics by David Sibley and Birding Essentials by Jonathan Alderfer and Jon Dunn. Unlike the former book, Swick doesn’t have a lot of information about the mechanics of bird identification, and, unlike the latter book, Swick wouldn’t overwhelm a rank beginner with a lot of new information to process. “Birding for the Curious” avoids many of the pitfalls that often checker books about how to bird. Swick never forgets that he’s writing a book for beginners, and he also never forgets that he’s writing a book for adults. His clear and enthusiastic prose is a pleasure to read. The book is very well-organized, and the chapters are about the right length to give a solid overview without bogging down in too much detail. It doesn’t feel like Swick took what would have been three or four good articles and fluffed them out into a book. The book does have a slight eastern bias that bleeds through in a few places. For birders in the drought-stricken west, providing water might be more important than providing food or cover, but in the chapter about attracting birds, Swick downplays the need to provide water in a bird-friendly yard. Experienced birders will find most of the information in the book a little too simple, but this book would make a good gift for someone who isn’t yet a birder but who might be ready to take the next step.